GDH Solutions is a planning and management consulting firm providing services to government, not-for-profit, and private sector organizations engaged in the parks, recreation, sport, active living, and culture sectors. 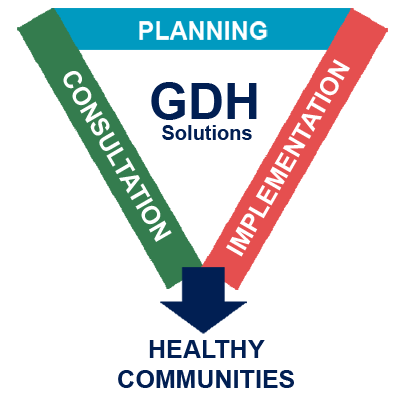 Healthy sustainable communities are the ultimate goal of projects undertaken by GDH Solutions. We specialize in strategic plans, master plans, business plans and feasibility studies as well as sport, physical activity and recreation policy. GDH has been established in British Columbia since 2007, leading and participating in a wide variety of parks, recreation and culture projects. GDH has a reputation for the delivery of high quality, on time, and on budget projects.